This is a suburban community hospital on a greenfield site. The design of the facility has a sophisticted contemporary appeal not unlike an urban boutique hotel. 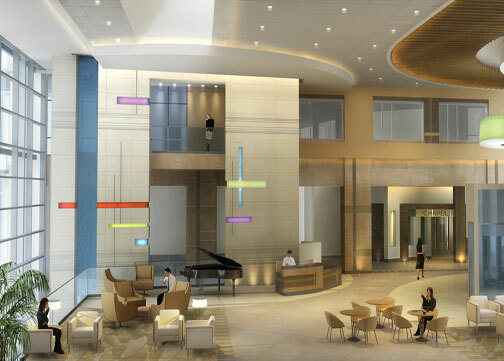 The lobby features a two-story waterfall that drops into the dining facility on the lower level.